The Phantom 3 and Inspire 1 now have DJI waypoint navigation by a firmware and Go App update and not through the Ground Station app. Both drones are pretty impressive. However, when these drones were first released they didn’t come with waypoint navigation which was certainly a big disappointment. Not having waypoints took most people by surprise as the Phantom 2 Vision and Vision+ had waypoint navigation from the Vision App. Also the original Phantom 2 uses the Ground Station app as an add on for waypoints. This post looks at the new Inspire 1 and Phantom 3 waypoints, along with other waypoint navigation and ground stations alternatives and options. On the 7th September 2015, DJI released the highly anticipated software update for the Phantom 3 and Inspire 1. This firmware update added the new flight features which include Course lock, Home Lock, Waypoint Navigation, Points Of Interest and Follow Me mode. DJI briefly describe the waypoint solution as: “Record a flight path, then tell your Phantom 3 or Inspire 1 to fly along the same path repeatedly while you control the camera and orientation. Save your favorite missions, customize speed, and more”. Both the Phantom 3 and Inspire 1 along with the latest Phantom 4 Pro are featured in our drone reviews articles. For example the latest Phantom 4 has Draw Waypoints along with many more intelligent flight modes. This first videos which shows you all 5 intelligent flight modes on the DJI Phantom 3 which came with the firmware release. The below video is a tutorial on how to set up waypoints on your Phantom 3 or Inspire 1. There are many positives to using waypoints navigation. Waypoints allow you to gather great aerial film and 3D images in locations where it is impossible to see correctly or the weather conditions make it impossible to stay on course in filming. This was the case in the 3D mapping of Christ the Redeemer statue in Rio de Janeiro, Brazil. Gusts of 50 mph are constant around this statue. In gusts this strong, the drone would move 10 yards by the time the pilot realizes and reacts to bring the drone back to position. With waypoints, the drone flight control system is updating its position hundreds of times every second. 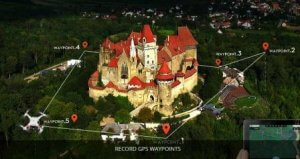 It is impossible to take great aerial video in gusts without using waypoints. Waypoint technology is definitely a requirement on agricultural drones and site surveying drones using ToF camera sensors. In search and rescue, flying using waypoints navigation insures that an area has been completed scanned. The Phantom 3 and Inspire 1 components had the waypoint technology already built in, it meant the waypoint solution was through a firmware update. This also allows third parties to create Ground Station applications quite easily. In fact some of these 3rd parties mentioned below already have applications and the others will only have to update their existing applications. Pix4D have updated their Mesh application. So now the Pix4DMapper Mesh DJI Edition is compatible with the Inspire 1, Phantom 3 along with the Phantom 2 Vision and Vision+. This terrific software allows you to define an area of interest, take off, capture and get a quick 3D preview on your phone. You can also edit, process and measure results on your computer. Use this app to create waypoints, then capture optimal images with geotags for mapping and 3D modeling. Create 3D models and publish it online. Map and create video animations in 3D. Produce 3D models of architectural or landscaping project and share it with your clients. Create digital art and 3D content for gaming. Airware as a company provide solutions such as middleware and apps which tie in different technologies to create a seamless solution to the UAV industry. Their Ground Station App is developed to be compatible across many platforms. Airware have an application called UAV Ground Control Station Software. It is an autonomous flight control system and ground control software which supports a wide variety of multirotor and fixed-wing aircraft. If you are interested in their Groundstation App, here is the Airware home page. Below I have some information on their Groundstation Software Solution. Airware’s existing UAV Ground Station software allows you to create Flight Plans consisting of a set of waypoints. These define where the aircraft will fly and also details how the quadcopter will perform those flight operations including camera actions. You create the waypoints by selecting points on the map, or by entering coordinates. Flight plans can be automatically generated by the GCS software. Users select a takeoff location and survey area. Then you enter sensor parameters, ground sampling distance (GSD) and image overlap values. Simplified flight planning and flight plan contingency. App interface clearly presents flight data, link signal strength, GPS, battery status and much more. Here are a few alternatives drones which have a ground station solution along with autopilot navigation and waypoints. 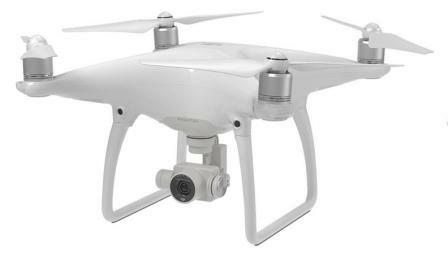 If you haven’t yet purchased the Phantom 3, you might also want to take a look at these drones. The DJI Phantom 2 Vision and Vision+ have waypoints already built into the quadcopter and the Vision App. 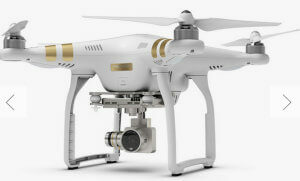 The DJI Spreading Wings models also have Waypoint Navigation. 3DR have their X8 multirotors which have waypoint navigation. The 3DR Iris+ has Automatic Mission Planning using the DroidPlanner App. However, 3DR no longer manufacture the X8 or the Iris drones. The new Solo drone from 3DR does support waypoints. However, the SOLO app does not have the waypoint software. The Solo has some nice features for taking great photos such as Cablecam, Orbit and Selfie. To use waypoint with the 3DR Solo drone, you need to download the Tower APP which extends on the DroidPlanner. 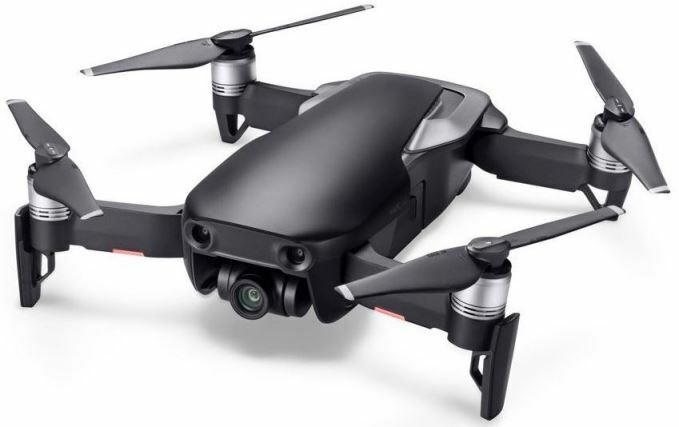 The Walkera Voyager 3 has both flight assistant and waypoint navigation. In some ways the Voyager 3 is very similar to the DJI Inspire 1 in looks. It uses a 3D brushless gimbal and has an unrestricted 360 degree view and 1060 HD camera. It is fast, agile and has terrific inbuilt technology. It is priced very competitively.